At Hampton Roads Hyperbaric Therapy, Sarah Stoltman has treated more than 50 Hampton Roads veterans. Many of them with various levels of traumatic brain injury. NORFOLK, Va. (WVEC) -- For years the Department of Defense and the Department of Veterans Affairs have been studying Hyperbaric Oxygen Therapy to help veterans deal with PTSD and Traumatic Brain Injury. Hyperbaric Oxygen Therapy is commonly used to help divers with decompression sickness, or the "bends." It uses a pressurized chamber filled with 100 percent oxygen to remove air bubbles from a person’s blood. The 90-minute treatments stimulate blood flow and healing with stem cell production. Hyperbaric oxygen treatments typically cost around $2,000 to $6,000. Veteran support groups, such as Virginia Beach nonprofit End 22, cover the cost for Hampton Roads service members like James Skarin. 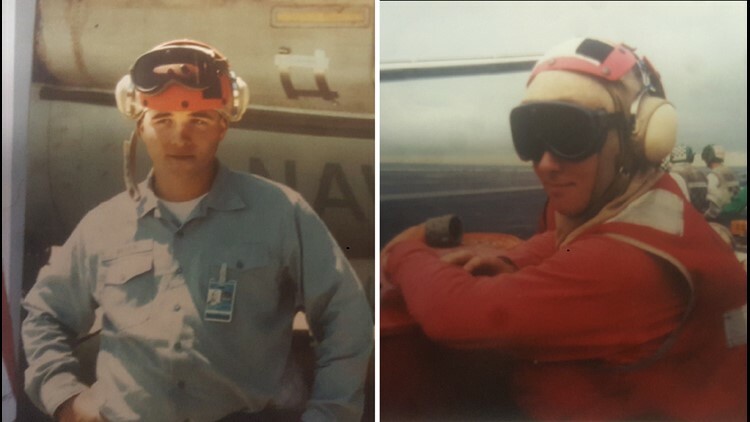 Veteran support groups, such as&nbsp;Virginia Beach nonprofit End&nbsp;22, cover the cost of hyperbaric oxygen treatments for Hampton Roads service members and veterans like James Skarin. He has been waiting about a year and a half to get this treatment because he gave up his spot for another veteran that he thought needed it more even though living with traumatic brain injury wasn’t easy for him. Before treatment, he had signs of kidney damage, short term memory, high anxiety, trouble speaking and balance issues. 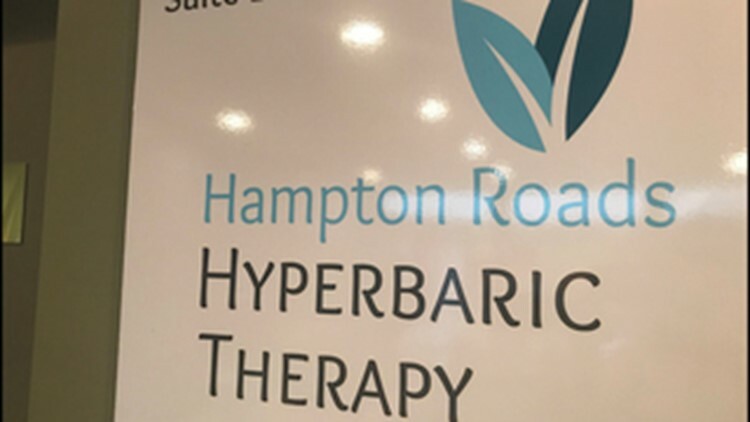 So, for 40 treatments over 8 weeks, Skarin documented his journey on Facebook Live at Hampton Roads Hyperbaric Therapy. Stoltman gave Skarin a test to measure his brain function before and after 8 weeks. She said he had a 58 percent improvement in his cognition after completing treatments. Right now insurance and the VA consider these treatments experimental. In January the Department of Defense released a report rejecting the effectiveness of Hyperbaric Oxygen Therapy for mild traumatic brain injury in service members. “I personally believe that hyperbaric will be a covered indication for a traumatic brain injury in the future. It is in other countries,” said Stoltman. Research Psychologist Tom Fox has been in the clinical Hyperbaric Oxygen field for 30 years. “I’m like, are you kidding me?” said Fox. He believes the Department of Defense does not support hyperbaric oxygen therapy to treat veterans for mild traumatic brain injury because of the cost. "If you look at the estimates of this, 40 percent of those that have served in the theater of combat for four months or greater could be at risk for this and if you multiply that out, that gives you a figure of about 800,000 to 1.2 million,” Fox said. He added mild traumatic brain injuries can be caused by dramatic pressure changes like an explosion in combat. Those big pressure changes also cause neurological decompression sickness like divers get and is treated with Hyperbaric Oxygen Therapy. “There’s significant change from base line and all these guys deliver,” said Fox. Patients like Skarin said they’ll keep advocating for Hyperbaric Oxygen Therapy treatment for veterans because the results are greater than words.